You’ll be a callback to the Summer of Love this Halloween, in our Hippie Wig with Headscarf! 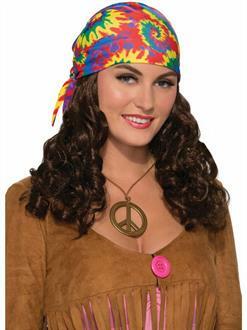 This long hair and psychedelic bandana will show everyone that you’re all about peace and love, dude. Put on some Jimi Hendrix at your Halloween party and get jamming!